If you've ever wanted an olfactory sample of something before you buy it, Sniffy has you covered. If you've ever wanted your retail shopping experience to include more smells, well... get excited about Sniffy. 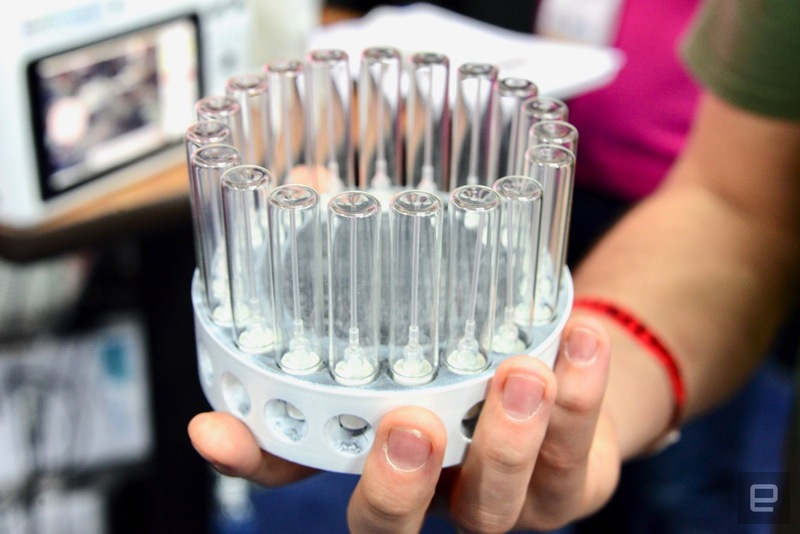 It's a prototype product meant for stores that want to let their customers smell their products as well as see or touch them. The obvious examples are food and drink retailers, where customers might want to get a whiff of spices or coffee. Perfume is another obvious example, but I'm struggling to come up with other situations in which this makes sense. Regardless, here's how it works. 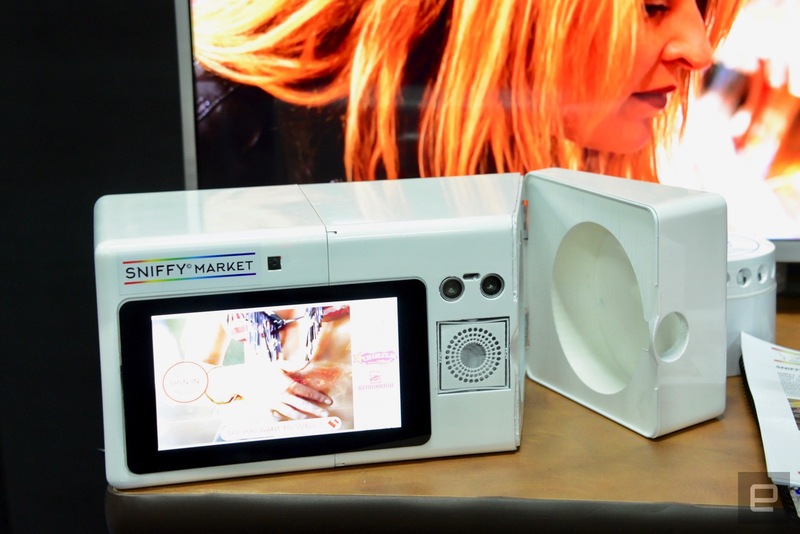 The Sniffy Market has a touchscreen display and camera as well as a carousel that retailers will load various scents into. Once that's set, curious passers-by can use the touchscreen to pick a product and then get blasted with the scent in question. Another bizarre but intriguing thing about Sniffy is what the camera is for: It captures people's reactions to the scent and analyzes it to see if that reaction is positive or negative. It's not meant for the consumer to see, but it's data that can help inform how desirable the product up for sale is. Given that the demo device we saw here at CES was just a 3D-printed prototype, there's no telling when this might be an actual device you see in stores. It's a bizarre idea, but it might just be weird enough to work for a certain set of retailers. Sniffy's creators said they'll build the hardware, software and even help create scents for the company; it sounds like they want to have a piece of the whole pie. But as far as seeing Sniffy in a store any time soon, well, I'm not holding my breath.